Grandma's Cookin' Up a Fine Pizza Pie! Rosario's Pizzeria is among my favorite places to drop by for a quick slice of pizza for a lunch or dinner on the run. They feature high-end gourmet pizzas by the slice for those looking for a quick fix. 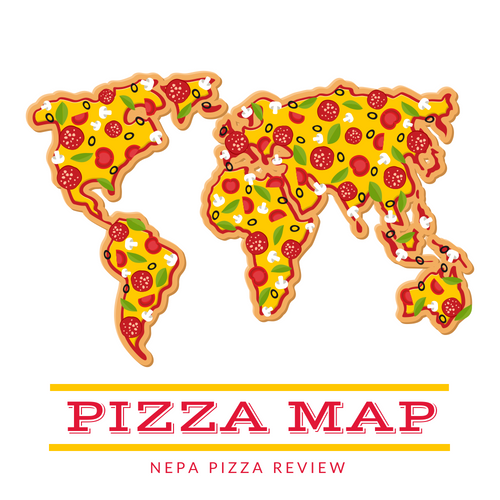 If you haven't been there, when I say high-end gourmet, I mean that these pizzas are expertly crafted with superior quality ingredients and complex flavors. I'm not referring to the "gourmet" pizzas where a pizzeria tosses a few toppings on a middle of the road pizza and calls it gourmet or specialty. These gourmet pies are loaded with hearty toppings, sauces, and cheeses. My favorite pizza at Rosario's is by far the Grandma Pizza. This style of pizza is rapidly climbing my list of favorite styles. What is a grandma pizza you ask? Slice the Pizza Blog defines Grandma Pizza as: "a thin layer of dough is stretched into an oiled, square "Sicilian" pan, topped sparingly with shredded mozzarella, crushed uncooked canned tomatoes, chopped garlic and olive oil, and baked until the top bubbles and the bottom is crisp." In other words - DELICIOUS! 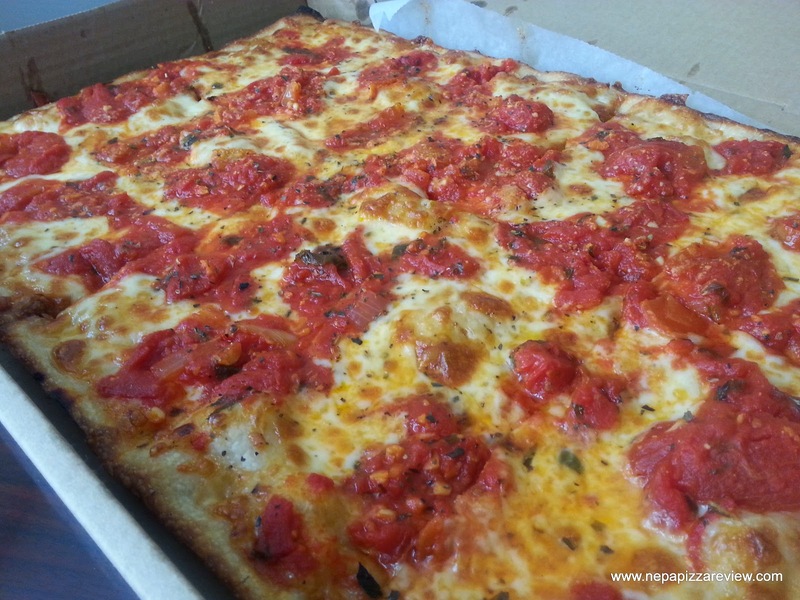 Grandma pizza is getting more and more popular in NEPA, with Basilico's and Armenti's each offering breathtaking versions of the Grandma variety. So what makes Rosario's Grandma so special? Well, it starts with fresh dough pressed very thinly into a rectangular pan which is the same size as an Old Forge pan. Make no mistake about it, this is not an Old Forge pizza on a premanufactured crust and covered in American Cheese. 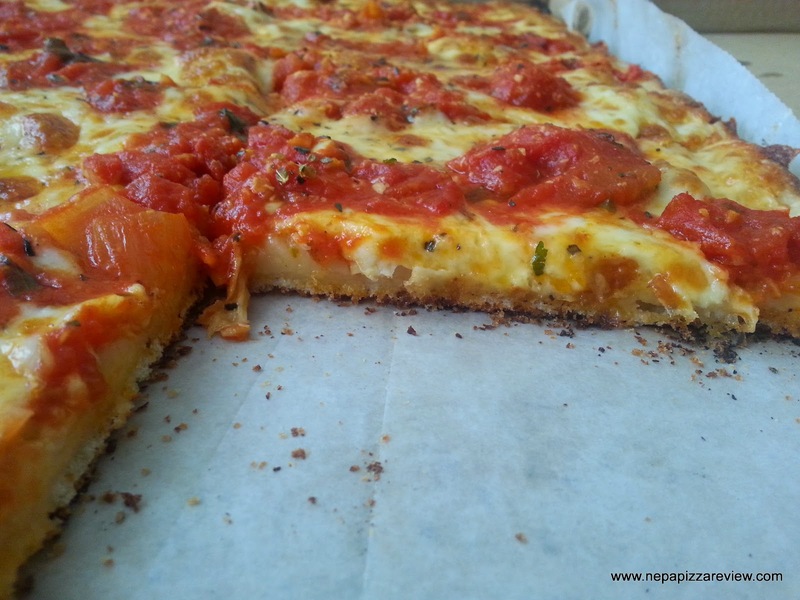 This is a fresh, tender, crispy, crust covered in succulent San Marzano tomatoes, garlic, onions, mozzarella cheese, and a host of seasonings that complete this perfect flavor combination. If you like a hearty pizza with a lot of flavor, even more character, and makes you feel like you are touring Italy while eating it then this pizza is for you. I will caution those who are not fans of onions that this pizza does have a few large chopped onions on top to add flavor and texture, but they are not offensive. I have a few friends that swear by the Grandma here - and wouldn't you know it, I unexpectedly ran into one chowing down on a grandma when I walked in the door. We greeted each other by celebrating the greatness of the pizza and I quickly let him alone to finish his meal because this is a serious slice that demands 100% attention! It's no secret that I am a huge fan of the grandma pizza at Rosario's, which is why I wrote this as a bit of a feature rather than my typical review. To see more information on this establishment, please check out my previous review here. If onions and the freshest possible ingredients aren't your thing, Rosario's also offers a classic New York Style Pizza among other favorites such as the Buffalo Chicken which is huge and one slice will fill you up. If you are a pizza entusiast (snob) who truly enjoys a high quality pizza, you need to check out Rosario's - you won't regret it.